The use of sophisticated mathematical tools in financial engineering ranging from partial differential equations to stochastic analysis and numerical methods has been growing steadily during the past few decades. On the one hand, the mathematical tools and results have impacted the way financial phenomena are modeled and understood, and how risk is assessed and managed. On the other hand, the financial industry has been presenting a number of mathematical and computational challenges to researchers. 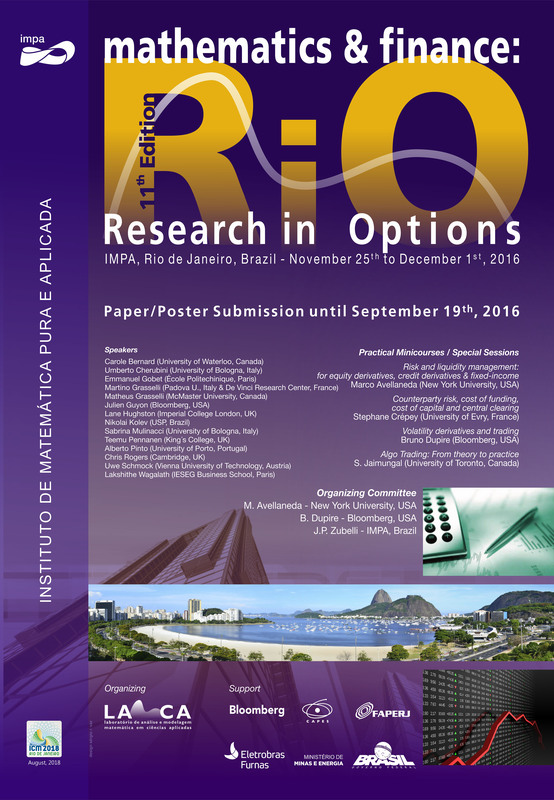 This is the eleventh conference hosted by IMPA’s group on Math Finance on the subject. It is a follow up of the highly successful previous editions. Each one had in its attendance about 100 participants evenly spread from academia and industry. This year we will focus on different aspects of mathematical finance including (but not limited to) option pricing, fixed income, volatility trading, real options, commodities, algorithmic trading, portfolio and risk management. We will precede the conference with two days of minicourses. The minicourses will be aimed at both practioners and students. 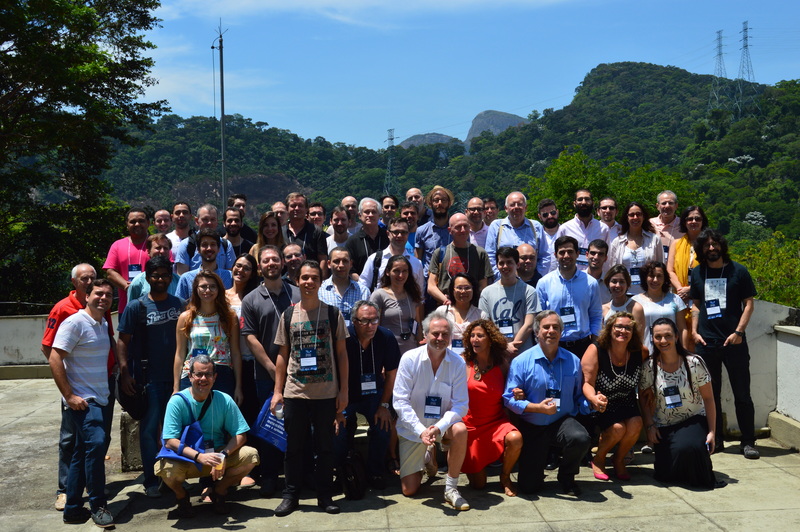 Este evento é parte das atividades do comitê temático de Finanças Quantitativas da Sociedade Brasileira de Matematica Aplicada e Computacional (SBMAC). 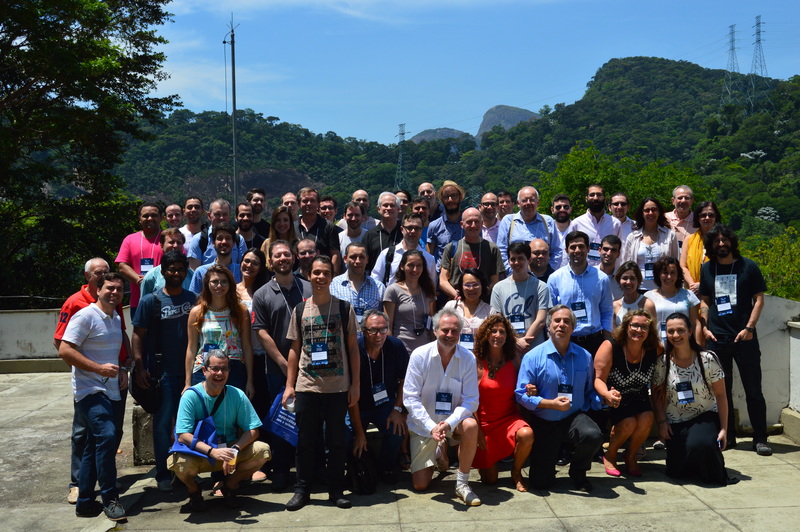 This event is part of the activities of the Special Interest Group on Quantitative Finance of the Brazilian Society for Applied and Computational Mathematics (SBMAC). High-frequency data: why are we looking at this?